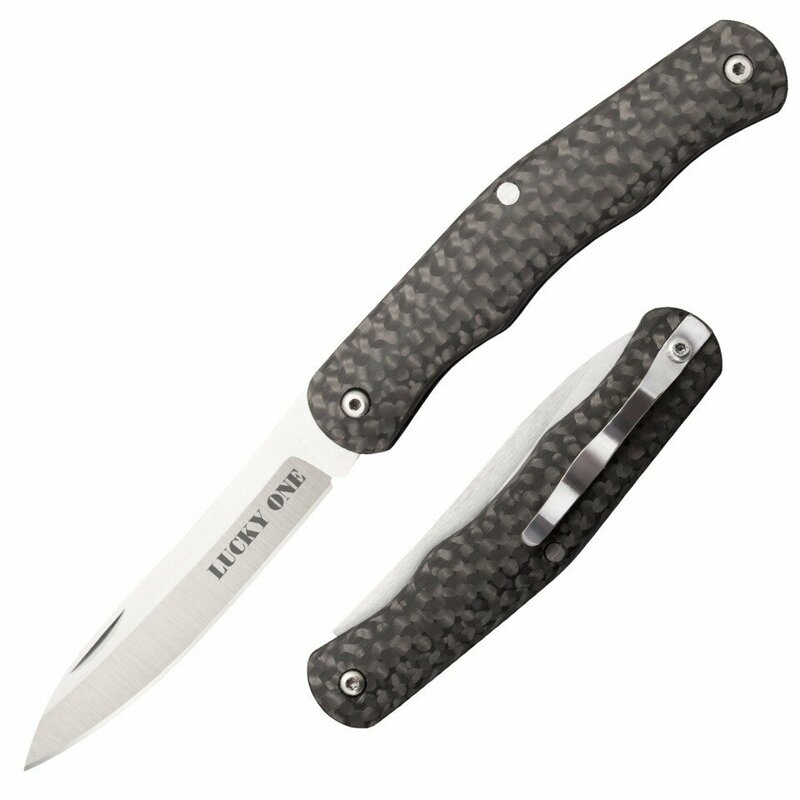 Penknife Cold Steel Lucky One(54VPM) High quality Cold Steel knives, throwing knives, tactical knives. Our new single bladed Lucky is even thinner, lighter and discreet to carry. Featuring a single razor-sharp plain-edged CPM S-35VN steel blade and feather-light polished carbon fiber scales, this classy pen knife is simply a breeze to carry and wear all day.